(MENAFN - Colombo Gazette) Tamil Nadu Deputy Chief Minister O. Panneerselvam said that the DMK-Congress Government and M.K. Kanimozhi did not ensure security to Sri Lankan Tamils during the Eelam War, The Hindu newspaper reported. 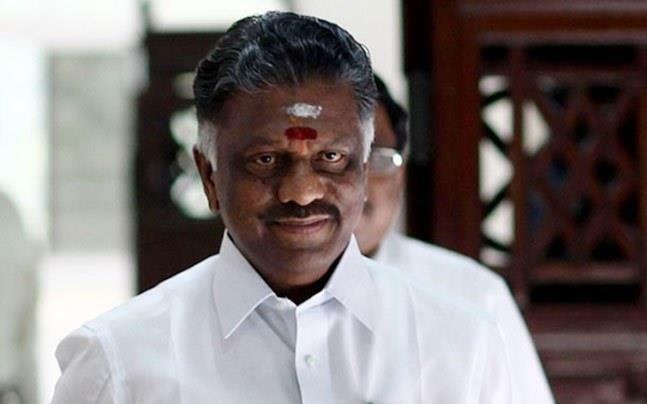 During his campaign near Anna Nagar on Monday evening in favour of BJP candidate Tamilisai Soundararajan, Panneerselvam said that Ms. Kanimozhi, who was among a team of MPs representing India in Sri Lanka, received the hospitality extended by the then Lankan President Mahinda Rajapaksa but did not take any constructive action to protect the Tamils. 'She has now been named the DMK candidate of Thoothukudi,' he said. 'The AIADMK government passed a law in favour of jallikattu and the Centre, led by Prime Minister Narendra Modi, was very helpful,' he said. He added that the Centre should be strong and congenial to ensure development of the State. The AIADMK government had increased the amount of gold given from four grams to eight grams under the 'gold for thali' scheme, and increased the financial assistance given to poor mothers from ₹12,000 to ₹18,000 under the Dr. Muthulakshmi Reddy Maternity Benefit Scheme, Panneerselvam said. 'The DMK on the other hand is promoting a culture of violence,' he said, citing various incidents in which the party members were involved in brawls.